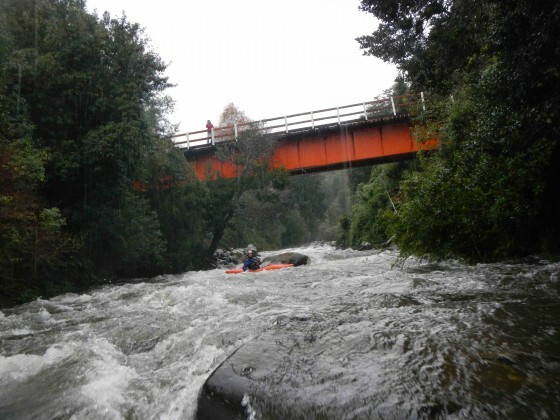 Located in the 9th region of the Araucania, the river flows out of the Cordillera Melo just west of the Llaima Volcano. It is a relatively low elevation drainage and only runnable after extensive rainfall so most likely to have juice from June to September. 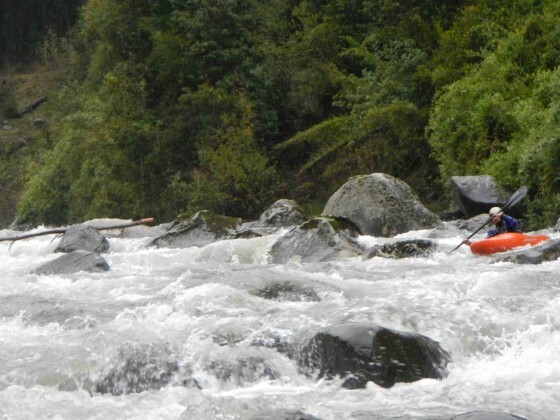 The river is continuous whitewater from start to finish with not a hint of flatwater,. There are no portages and only one spot where Ben May and myself had to get out of our boats to find a line on our June 1, 2012 first descent. 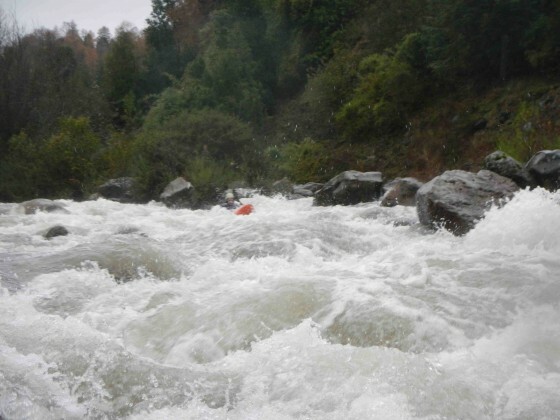 At the put in we had an estimated 400 CFS and by the end of the run the river had doubled in flow to around 800 CFS mostly from the additional tributary Rio Calbuco. The river is remarkably free of wood. Basically class 3+ with perhaps one class 4 rapid.